Featuring unreleased Afu-Ra & EZD songs. Soundquality isn’t all that since i don’t think they used masters to bootleg these off of, but enjoyable nevertheless. A3. EZD – Return To It feat. O.C. 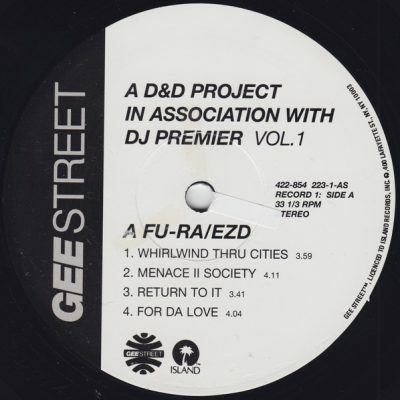 comment "Afu-Ra & EZD – A D&D Project In Association With DJ Premier Vol. 1 EP (Vinyl) (2000) (FLAC + 320 kbps)"